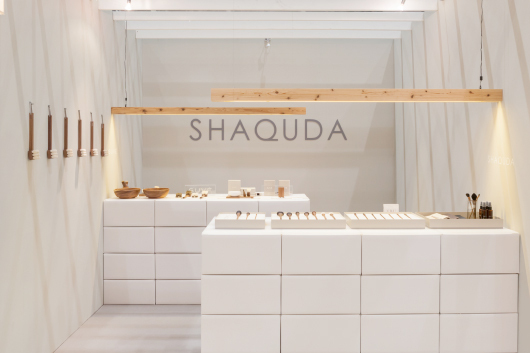 New Brush Brand [SHAQUDA] Debuts. June 6, 2015, New Brush Brand [SHAQUDA] debut! Products are initially unveiled at “Interior Life Style 2015 (6-12 June)”. First line of Makeup brush series “UBU” and Brushing Skin Care series “SUVE” were exhibited. Many people looked at the products and gave overwhelmingly favorable reviews. We will presently preparing for our official release on 11 November, 2015.